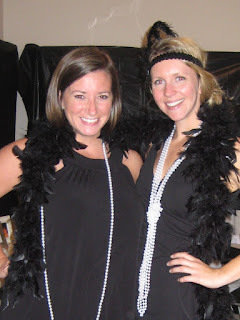 Here are some photos from last night's Bunko. Missy had transformed her home into "The Bunko Monkey" speak easy, complete with blacked out windows, sultry jazz music and--required for any speak easy worth our time--a password, which I can now share with you was "banana hammock." Don't know what the theme is for next month yet but I know it will be fun!